Unfortunately, Citi doesn’t allow you to automatically pay the full balance due. Rather, the only auto-payment option that they offer involves paying just the minimum amount due. While I understand perfectly well why they do this — in increases the odds that you’ll carry a balance and pay them more — it still bothers me. In the past I’ve just dealt with it — I could justify the inconvenience of having to make manual payments since they offered relatively generous reward programs. But this weekend, that all changed. Given that a number of other card issuers don’t play these sorts of games, I figured it was time for us to vote with our feet. Thus, we’re going to stop using our Citi Dividend Platinum and Citi Driver’s Edge cards as our primary cards, and are instead going to focus on our Chase and Amex cards going forward. To this end, I spent a bit of time last night calling both Chase and American Express to convert our old cards into something a bit more lucrative. First of all, I called Chase and asked them to convert our Chase PerfectCard, which offers 3% rewards on gas and 1% on all else, into a Chase Freedom card. This card pays 3% rewards in the three categories in which you spend the most in a month (e.g., gas, groceries, telecommunications, etc.) and 1% on all else. Second, I called AmEx and converted our old Optima card into an Amex Blue Cash card. While our Optima card was enrolled in their Membership Rewards program, it was earning points instead of cash. Now we’ll be getting cash back in a tiered fashion. For the first $6500 in expenditures, we’ll be receiving 1% cash back on “everyday” purchases and 0.5% on all else. But once we hit the $6500 mark, we’ll be getting 5% cash back on “everyday” and 1.5% on all else. The only downside is that we have to spend our existing Membership Rewards points within the next 30 days. But the good news is that our account number remains unchanged, meaning that our Buyer’s Assurance coverage will proceed unadulterated. As for setting up auto-payment, it’s dead easy to do this with the Chase Freedom card — simply log in and you can set it up via their online interface. In the case of the Amex Blue Cash card, it’s a bit more complex. In short, you need to call them to request a form that you’ll fill out and send back to them. Not a huge deal, but less convenient than it could be. That being said, jumping through this relatively minor hoop is totally worth it to me if it means an easier, more automated financial life. Don’t get me wrong… When I talk about automating our finances, I don’t mean to imply that we’re just going to set things up and never look at another bill again. Rather, we’ll no longer have to keep super close tabs on things like due dates to be sure that we avoid unnecessary fees. But I’ll still peruse our bills and check for anomalies prior to slurping the data into Quicken. I have Citi Rewards and Citi Professional Mastercards and both of them are set up for auto-pay to be paid in full each month through my checking account. Just call to get the forms and mail them back and you’ll be on auto-pay in no time. You know, I don’t have auto bill set up for anything. I pay bills either online, via the mail, or in person at the store/bank/center. I am too afraid of setting up payments automatically because what if there is an error and they already take my money. I don’t want to end up on consumerist as one of their horror stories. And while I usually have enough money to cover all my bills and put money into savings, I worry about getting a bank overdraft charge because I forgot to transfer money from my savings into checking, or if don’t have enough money because of an emergency. One time I fought T-Mobile over a late charge and one of my biggest advantages was I kept saying to them I wasn’t gonna pay the late fee. If they’d had that money, I think I would’ve lost the leverage. “We have requested an AutoPay enrollment form to be mailed to you. You should receive it within 7 to 10 days. 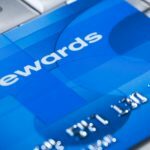 For the past year and a half, I’ve been converting my credit card purchases over to only cards that have rewards. It just seems crazy to me to use any card that doesn’t give you at least 1% back. I had been using Discover for years, earning 1% on everything after you reach $3000 in purchases for the year. (1/4% and 1/2% on the 1st and 2nd $1500) I have a business and usually get to $3000 the first month, so it didn’t bother me too much earning so little on the first $3000. Then I happened to get in on a great deal last year from Chase shortly before they quit offering it. It’s similar to the Chase Freedom nickel mentioned, except it’s 5% instead of 3% on 3 categories. You have to watch the limits – 30,000 points per year, which is $300 – so when I realized I was going to go over the limit before this year was up, I found and applied for a new card elsewhere with pretty much the same 5% deal. I already had several Chase cards that I wasn’t using, that only offer 1% on everything. Chase bought out some other companies and I had a couple that were converted from something else to Chase. I hadn’t bothered to check whether they would convert my unused Chase cards into a better program, because I knew they weren’t offering the 5% program anymore. From your experience, it sounds like they’ll pretty much do that on request, right? I might like to change one to the Freedom card. I had never been able to find the auto-pay option through the website, but I called the customer service to request a paper form. On the paper form, one of the options is to pay in full. Before you give up on Citi I’d suggest calling them up and asking for the paper Auto-Pay enrollment form. I have a citicard account. I have looked high and low for a simple “Autopay Balance in Full” setting and it is NOT there. (I believe you, nickel!) Having to request an enrollment kit is soooo 1990s. David’s posts clued me in to doing a search. To find the info, log into your citibank account, go to help/contact us, then go to online answers. in the search box, type “autopay” (no quotes). It explains you have to open up a message to them, and request an “autopay program enrollment kit”. I’ve requested mine, hopefully it is no big deal! Is the list of payment dates on a following page? I don’t see it on the first one. Anywho, I believe the AutoPay faq’s answer for zero balance implies an ongoing auto payment, but as you said, it may best to call ’em and sort things out that way. (I’m just another customer.) Let us know how it works out for you. By the way, as I should have mentioned earlier, I enjoy reading your blog. Keep up the good work and all that. I have the three options (pay in full, pay minimum, or pay a specific amount). However, there is also a list of payment dates that I can select from, and all are within the next few days. Thus, it’s pretty clear that this applies to just the current month’s bill (unless there’s an ongoing option that pops up after you make payment — that’s never been there in the past, though). I guess I’ll just call them and see what’s up. If you found the AutoPay link, it should do exactly what you described- at least, it does for me. As I mentioned, that was one of three options in the AutoPay link. Click-to-Pay may be a different thing; I don’t know. Again, it may be worth setting it up by phone (which I guess is what they did before the internet), if possible. If your Citi card is strictkly through Citibank like mine, it should be doable. Yeah, I found that (after hitting the Pay Now button). However, that doesn’t allow you to set up recurring payments. Does it? I’m talking about completely automatic payments, as in I set it up once and then every month thereafter, they debit my bank account for the balance in full. I’ve used Click-to-Pay in the past and it was a one-off type of thing where I’d have to come back each month. As far as I can tell, that’s still the way it works. It was tricky for me to find too; the only reason I knew it was there is because it the full autopayment happens every month. Assuming your layout is the same as mine, it should show in the box under the current balance and minimum amount due, on the left side of the screen, and to the left of the box showing your APR, credit line, statement balance, etc. If nothing else (and if you’re comfortable with it), you could try setting it up over the phone. My misunderstanding; sometimes banks and credit cards and processors have joint products, and it’s hard to keep track of ’em all. I just checked (again) and I still don’t see anything that would allow me to do this. Maybe I’m missing it, but I’ve looked at every link as well as through all of the menus. FWIW, BofA stands to gain nothing from not allowing me to auto-pay my Citi card. I’m not talking about a BofA card here. I’m talking about paying Citi via BofA billpay. I do all this through Citi’s website (http://www.citicards.com). It’s on the first page after I log in, and takes a few business days to set up (you just have to plug in your checking account number and the bank’s routing number). If the problem is with BofA, I can see why BofA doesn’t allow this as an option; banks earn a lot of their profit through fees and penalties. I switched from BofA to Washington Mutual. Are you paying through your bank’s billpay or via Citi’s website? I used to be able to do this when we banked with US Bank (before we moved), but have never found where to set it up through Citi’s website. Moreover, BofA’s billpay doesn’t have this as an option for our Citi cards. That can’t be right. I have a Citi dividend Platnium Select Card, and set my AutoPay preference to pay the “Balance due as shown on your statement.” You can also choose minimum payment due and another set amount; the money’s drawn from my checking account. I’ve been doing this for years with no problem. Are you sure you’re doing it right? Joe, of course you can pay it off in full. But you cannot set it up to do so automatically, at least not through their website. Moreover, when I get eBills from Citi in my BofA checking account, I’m unable to set it up to automatically pay the balance in full, yet I can do this with other card issuers, such as Chase. Very frustrating, and obviously designed to maximize the number of people carrying a balance or forgetting to make their payment. I’ve never had a problem paying my full Citi balance off in one shot. I’ve had just about every card they offer, too (I never miss their $100 sign up bonuses). I hate to say it, but I think you’re doing something wrong. Interesting stuff. I’ve given up on rewards cards. By the time I’ve read all the fine print, figured out how to best use each card, applied, tracked, and monitored payments to the card to maximize whatever “reward” they were giving back…it wasn’t worth it. Any physical cash I may accidentally receive from them as a result of actually using their rewards program was negated by the hours and hours of research and vigilance required just to participate. So you converted your AMEX. Was it easy? I have a Blue Rewards that I want to switch to Blue Cash and was wondering how AMEX will do it. I don’t want to go through the hassle and expense of thawing my credit just to have them run another credit check for a new type of card. On the contrary to The Savings Freak’s comment, I never knew any card doesn’t let you auto-pay the balance in full! Auto pay is definitely a very good time saver, but it makes most people lazy by not really checking their charges!! FMF: No, I’ve never had trouble sorting out disputed charges. They just credit it back to your account once they verify that it’s invalid, though you’re supposed to report it to them within something like 60 days. 2. Question: is there an issue with disputed or fraudulent charges if you automatically pay? For instance, it’s hard to dispute a charge when they already have your money for it. Yeah, I currently have automatic bill pay for almost everything (except for my gas bill, for some silly reason) but I still read all my bills completely. My bank pays everything in full (credit cards, utilities) every month, and as for my gas bill, I sign on to the utility company’s website the day I receive my bill and pay that in full. Also, my bank notifies me when these transactions occur, so I can make sure things are going swimmingly. Both my card (State Farm visa) and my mother’s (from Bank of America) allow to do it. The form you fill out gives you a choice of minimum or the full balance. They take the money on the very last day, occasionally the day after, but it is not your problem – they never charge for extra day since it is their choice when to take the money. This is really cool because you get max interest on your money and your payments are never late regardless of when the due date is. Obviously, you still need to check your bill to make sure everything is OK.
One thing to watch for is that in some cases if you forget about automatic payment for some reason and pre-pay, the amount they take from your bank is reduced by whatever check you sent them. This is how my card works. In others, they will ignore your payment and take the amount from the bank in addition. Bank of America card works this way – apparently they schedule the payment when they send you the bill and regardless of what you do they still take the money. This what happened with my mother the first month she set up automatic payment: she wasn’t sure the automatic payment has taken effect yet and she sent them the check for the full amount; then they took the full amount again ignoring the fact that the balance was 0. So suddenly she was left with a very small amount on her checking and plus a negative balance on the card; since it takes time to get the money back she had to transfer money from her savings for other bills. Since then she cancelled automatic payment and now just walks to the bank that is located close by and pays in person. 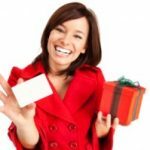 Great post, I love my Chase Freedom Card and I am planning to use the Amex Blue Cash extensively when our new budget starts in January. I didn’t even know you could set a card up to pay the whole balance. All of our cards make you do this manually. I will have to check out the Chase card.